Hi everyone! How have you all been? 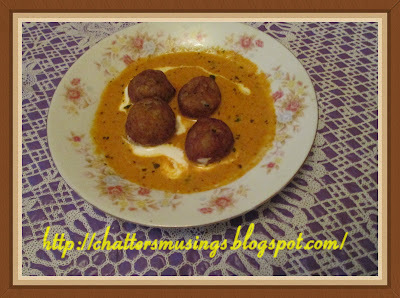 My today's recipe is very easy and simple one again. Ha Ha and I am sure you all must be thinking, what!! another simple one, but trust me you would love it. So should we begin. Dudhi or bottle gourd we have in many ways, some spicy or some sweet. Lets hear what you have to say to this one. Chop dudhi into small pieces. In a cooker, put oil to heat and add green chillies cut in small pieces. Add hing and stir for a minute. 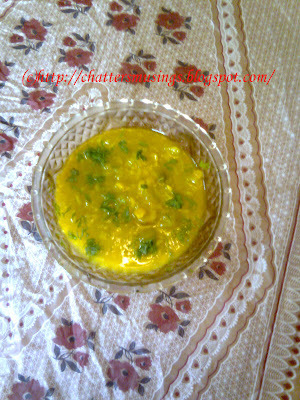 Add dudhi and put chana dal which has been soaked earlier. Mix and add all the masalas. Now add little water and cover and cook till 1 whistle. Let the pressure cooker cool down on its own. Open and mash chana dal dudhi mixture slightly so it thickens. If its too thick add some water and if its too watery let it cook for some time to get desired consistency. 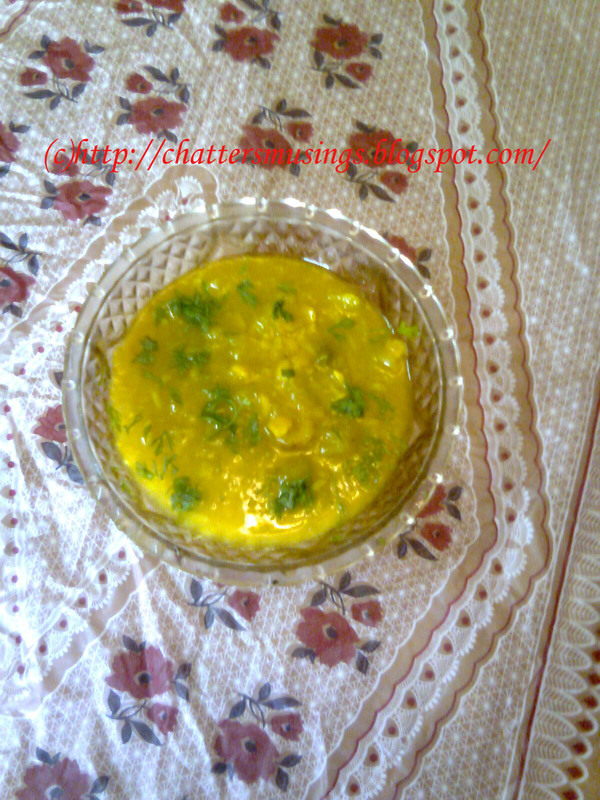 Garnish with coriander leaves and ginger and serve hot with rice or chapati. There is a dry method to make this or keep it like gravy. 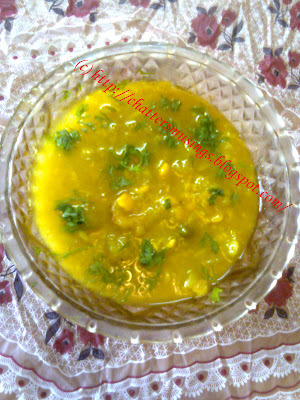 Lovely dal curry, looks delicious. 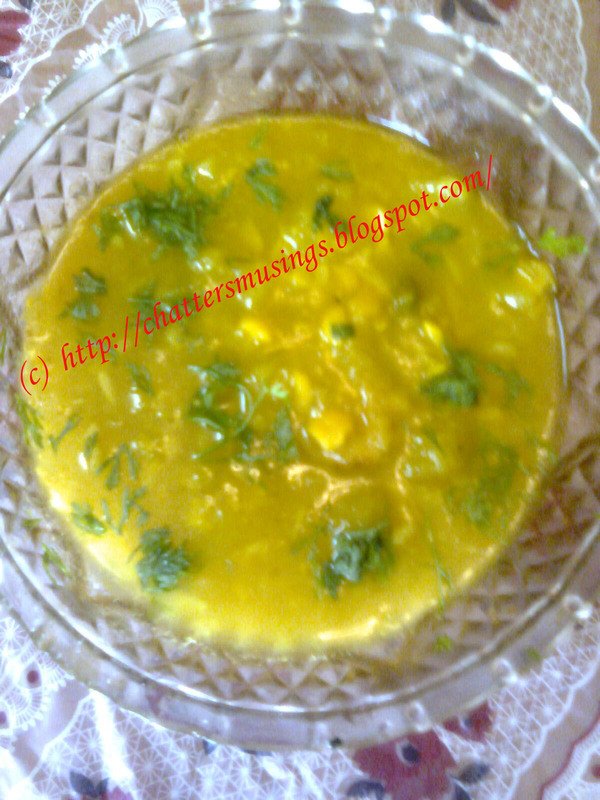 Simple and tasty dal with dudhi..I also make this with toori. 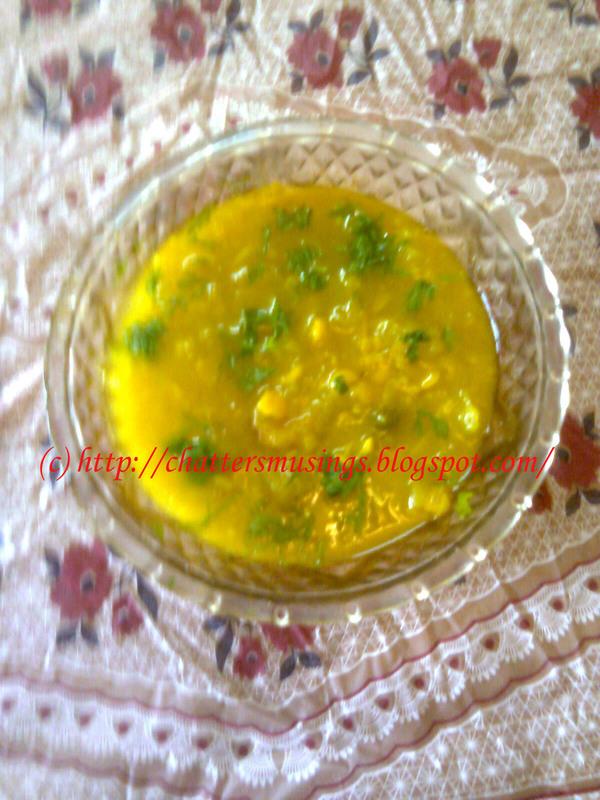 Meena, chana dal dudhi looks tasty good combination of veggie and dal. This one looks yumm and healthy too.. Thanks for visiting me..I do have followers gadget, facebook like page as well as subscribe button on the page..
Hey thats my fav.. Dudhi with Chana Dal.. the only good way I could seek to get some Dudhi in my Hubby's diet.. Adding amchur is flavorful & delicious taste. Meena again a very similar recipe:)I cooked this exactly the same way..already in my drafts...looks nice and delicious! next time after making it, add fresh roasted cumin seeds powder to it..roast some cumin seeds on a skillet (tawa) at low flame till fragrant and dark brown in colour & then grind it with a rolling pin on a rolling board. gives a nice aroma. thanks vimzi ye wud try tht as i love jeera in any form. i love it with yellow rice and that way dudhi goes in our food..
hi after a long gap m saying v do make these dish hehe I like this dish n we also add onion n garlic to it.